There’s nothing like a good April Fools Day prank. This year, we are offering you a few to try right in your office. It’s the perfect way to stay jolly during a daunting day inside when the sun is shining outside. Try some of the pranks below and you will forever be praised as the legend of funny in your workplace. A prank that is so simple but so diabolical. 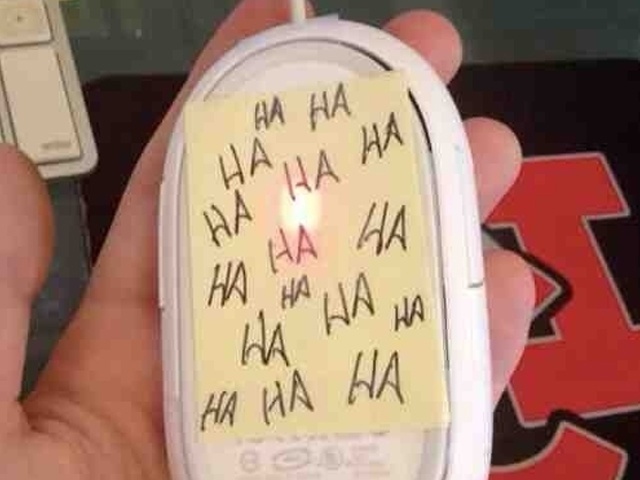 Place an ordinary sticky note underneath your co-worker’s mouse where the sensor is. That way they will think their mouse isn’t working but when they flip their mouse over to check what is wrong, they will see your clever trick. Everyone has that one person in his/her office that is always asking for a sticky note. This is the perfect payback. 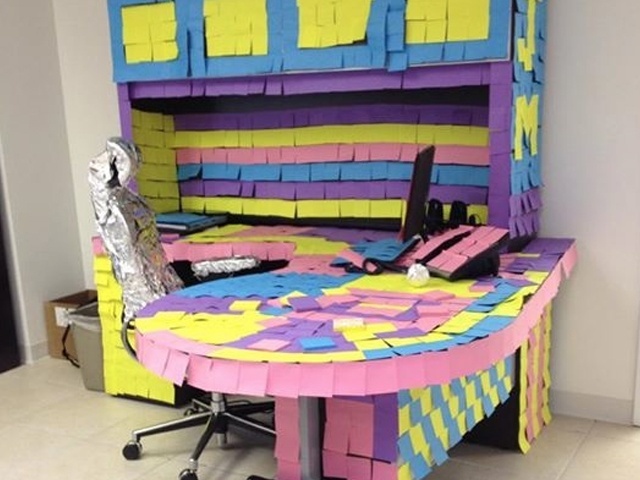 A prank like this does take some time so you must be dedicated along with having mass amounts of Post-In notes. An oldie but a goodie, this prank never fails. Grab an air horn, some duct tape, and pick your victim. 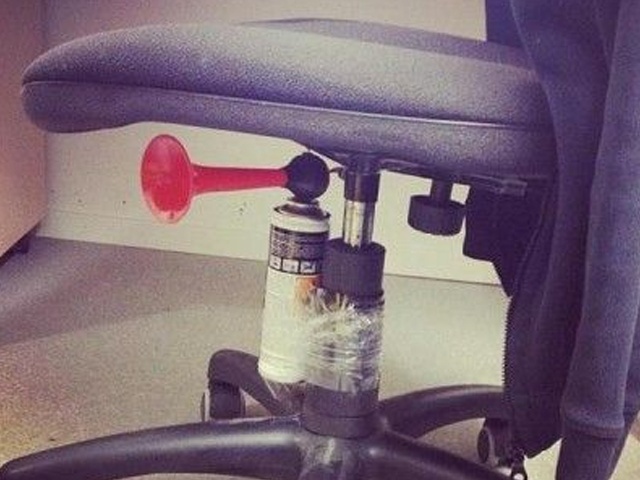 Tape the air horn to the person’s chair and wait anxiously until they decide to sit. Laughs will be had by all. This prank is great if you want to trick multiple people. 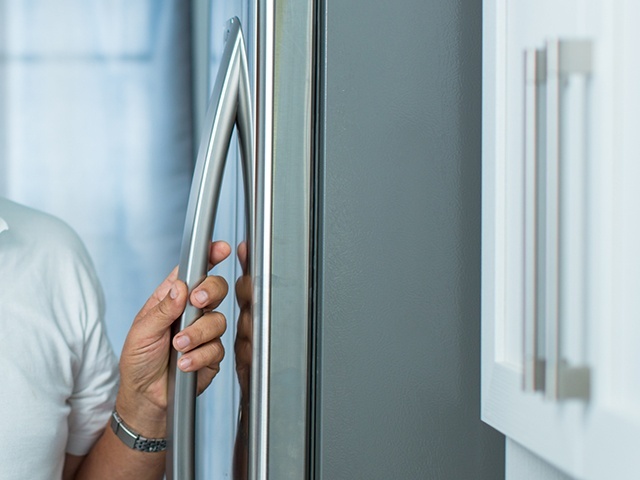 Place an alarm inside the refrigerator so every time someone goes to open it, an alarm goes off. Bring your lunch that day and enjoy everyone’s reaction while sitting safely and watching in the break room. Have any other flawless April Fools Day pranks? Share them on our Facebook page or Tweet at us.